Apartment in Recoleta, Buenos Aires - The Terrace ! Very well located, 860 square feet two bedroom apartment, one block away from Recoleta Cemetery with stylish contemporary outdoor terrace. This two bedroom apartment for rent in Buenos Aires has a rustic, contemporary feel to it, polished concrete floors and antique furniture work together to create a homely environment. The central Recoleta location, literally being a block away from Recoleta Cemetery makes this a great apartment to explore the surrounding neighborhood from. 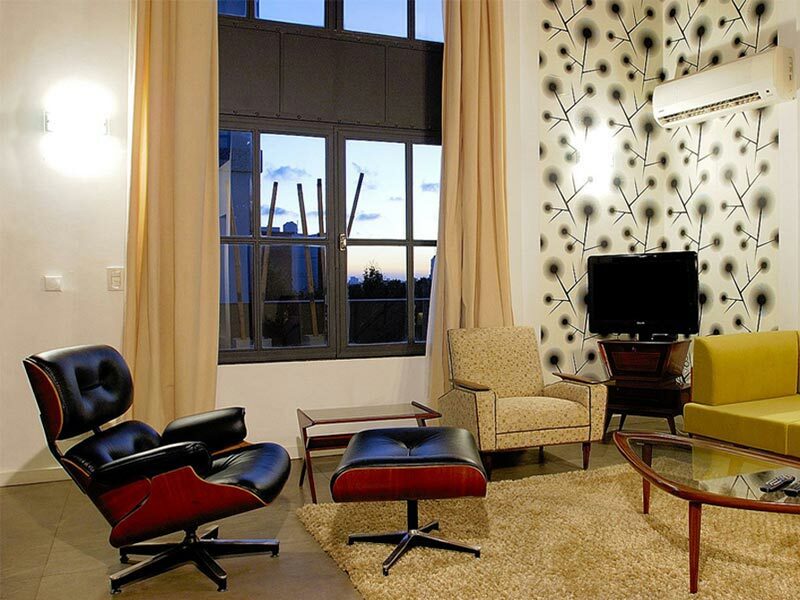 The spacious living room has a range of comfortable seating and Cable TV. There is a contemporary terrace that leads off from the living room, polished concrete, glass and steel help give this space its chic feel, complete with outdoor designer furniture. The kitchen with dishwasher and washing machine, comes with an array of modern appliances and should the mood take you, has everything you need to rustle up dinner for four on the terrace. The apartment has two bedrooms, both with double beds and a modern, well appointed bathroom. This is a great apartment in a great location, but its private outdoor terrace is the real star of the show.